All predictions of the future are informed by the preoccupations and prejudices of the era in which they are made – which is why they can often be so radically off the mark. At the height of the space race we were confident that moon bases were just a generation away, whilst the rampant consumerism and affluence of post-war America led to visions of flying cars and robotic household appliances propelling its citizens into an endlessly prosperous tomorrow. Any effort to peer, Nostradamus-like into the undiscovered country that is the future should, therefore, be tempered with considerable caution, but when it comes to our built environment we have been rather more on the money. Come a considerable distance back down to earth and the BRE’s INTEGER Millennium House, completed in 1998, and designed to showcase innovation in building and design, was a foretaste of the environmental technologies and home automation that is now commonplace, and was itself an influence on house design. It is equally true that the way we build our homes is going to change – as, indeed, it has to if we’re ever to meet demand. It was recently reported that the first habitable 3D printed homes are under construction in the Netherlands. Due for completion in the Dutch city of Eindhoven in 2019, they are fabricated off site using a robotic arm that lays lines of concrete that ultimately forms walls. Whilst clearly a very new process, these properties are part of a wider trend towards the adoption of prefabricated components at every level of the building industry, the champions of which sight increased consistency in quality and a whole house solution to issues around energy efficiency as just a couple of the benefits. A new guide by the NHBC, Futurology: The new home in 2050 seeks to identify trends in wider society – and technologies in the here and now – that will directly influence the homes we occupy in the more remote future. Accessibility in design, for instance, is demanded by a society that’s getting older, whilst increased living costs are driving children to live in the family home way into their adulthood. 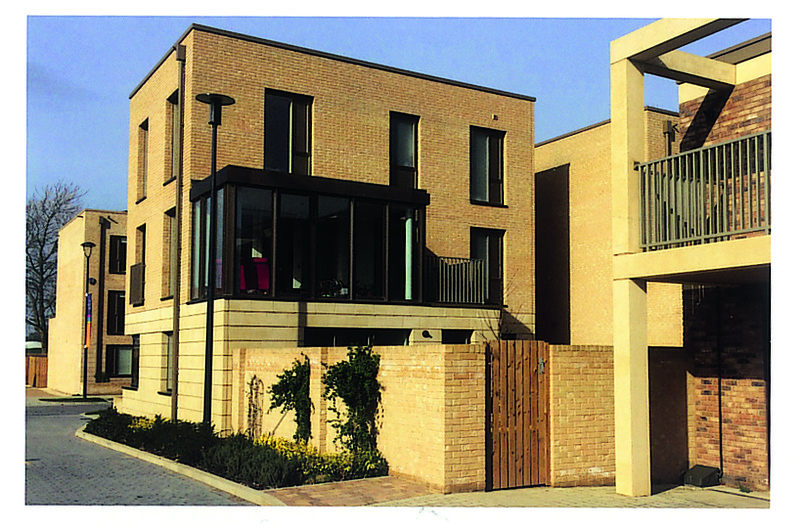 Both those phenomenon have come together to make the purpose-built multi-generational residence a reality, and the modern town house may well feature easily removable partitions that can turn individual floors into adaptable spaces according to changing needs, with each storey organised as virtually a self-contained domestic space. The increased dependency that advancing years demands will ultimately necessitate a vision beyond traditional institutional living for the elderly and infirm but, at the same time, more and more are choosing to live alone – representing 28 per cent of all households in 2017, in fact. Micro-living, particularly for the young and especially in London, is already open us, with properties utilising space saving features only previously seen in caravans or boats. Moreover, with footprints increasingly squeezed by a scarcity of land the vertically arranged home will emerge, with upper storey’s featuring terraces and external spaces to compensate for smaller gardens. One thing that we can say with the kind of certainty normally only afforded to death and taxes is that low energy homes will be our collective destiny, the only debate will be what form renewable energy will take. 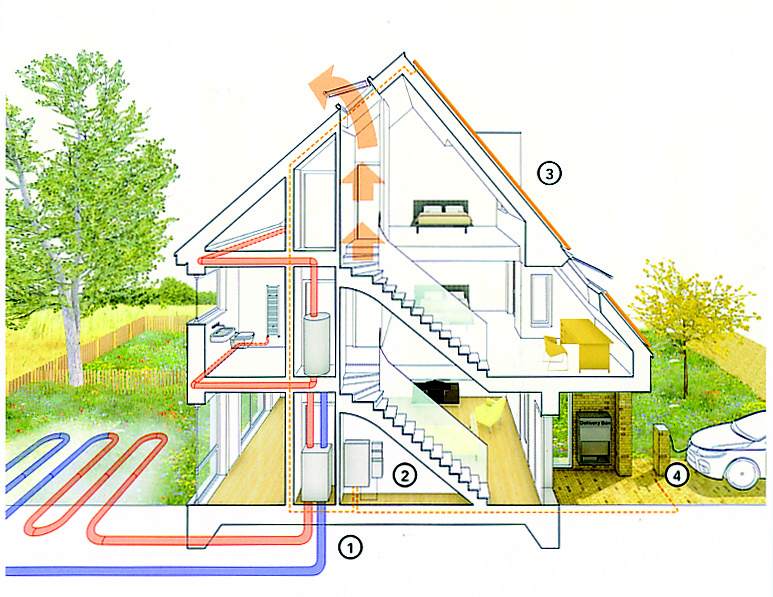 Communal and district heating is already on the rise and should continue, whilst thermal and electricity storage could well become commonplace. Energy management systems through wireless and remote technologies will allow us to take ownership of our home’s performance, and these will increasingly become much simpler to operate, or taken out of the occupiers hands completely with automated ‘power down’ systems that react to movement or peak price energy supply periods. Not only that but the homes of the future will be required not just to help prevent global warming but will need to react to the changes that are already upon us. 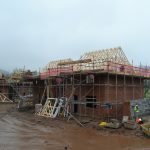 By 2050 it is estimated that temperatures could have risen by between 2.8 – 5.4 degrees, and house builders’ designs will need to respond to the prospect of sudden and unpredictable overheating. Indeed, for the home three decades hence adaptability will, on every level, be the order of the day, so that they can be reorganised according to either the demands of the occupants or of the environment they occupy.